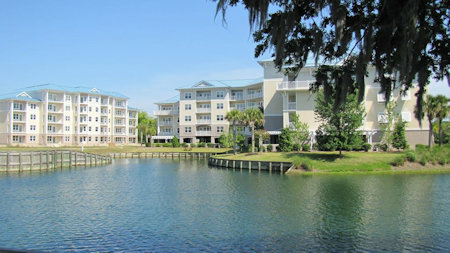 Bluewater Resort and Marina in Hilton Head, South Carolina - Buy a 7 Night Stay in a 1, 2 or 3 Bedroom Suite! in Hilton Head, South Carolina! 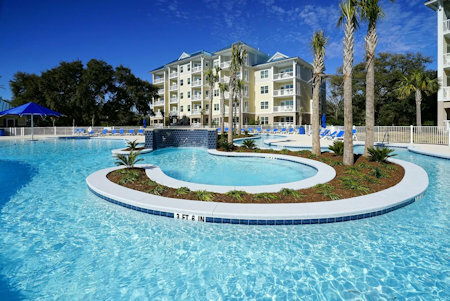 Featuring a private dock and access to Hilton Head's Intercoastal Waterway, the resort offers Key West-style open-concept accommodations with the comforts of home. 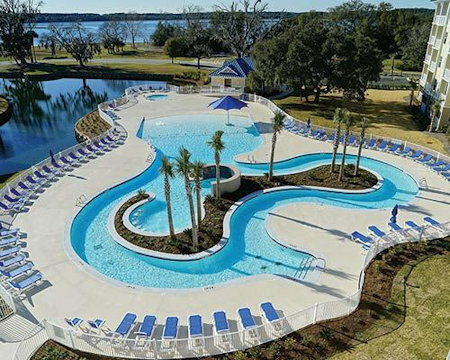 On-site are amenities including free Wi-Fi, an indoor and outdoor pool, zero-entry saltwater pool with a lazy river and waterfall, as well as a kiddy splash pad, sauna, lounge, fitness area, game room, dockside pavilion with bocce, shuffleboard, and kayaks. The Pinckney Island National Wildlife Refuge can be viewed from the dock. Your 1 BEDROOM SUITE will sleep up to 4 guests and comes with a full kitchen. In 940 square feet, your suite will include a private balcony adjacent to the bedroom. 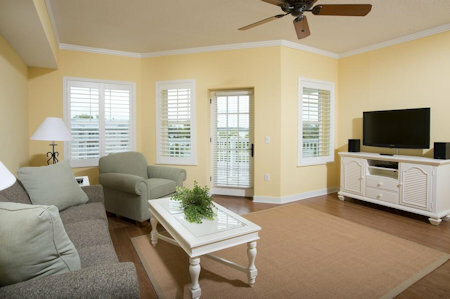 A King size bed is located in the Master Bedroom and a sleeper sofa in the Living Area. Your 2 BEDROOM SUITE will sleep up to 6 guests and comes with a full kitchen. In 1,322 square feet your suite will feature 2 King Beds and 1 sofa sleeper bed in the living area or 2 Full beds, 1 King Bed, and a sleeper sofa in the living area. 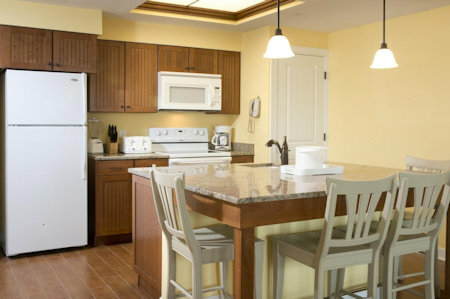 OR UPGRADE TO A 3 BEDROOM SUITE FOR ONLY $125 FOR THE WEEK! Your 3 BEDROOM SUITE will sleep up to 8 guests and comes with a full kitchen. In 1,891 sqaure feet your suite will feature 3 bathrooms, a balcony, and a washer dryer. Sleeping arrangements include, 2 Full beds, 2 King Beds, and 1 sofa sleeper bed in the living area. Resort charges a fee of $15 USD per day and will be collected by the resort at the time of occupancy.